Flying into Los Angeles I am filled with envy. I am meeting with Jewish community leaders involved in disabilities issues and I am keenly aware of the work that is ongoing in this area. From the activities surrounding Inclusion Awareness Month, the Federation’s excellent blog, The Better Together Inclusion Conference and the Mission to Israel which focused on best practices for community inclusion, there is much to proud of. 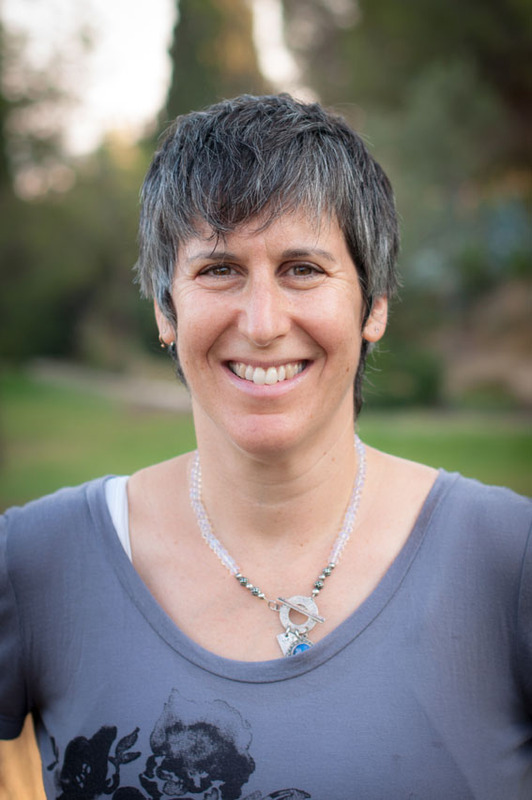 As a disabilities-rights activist, the co-founder of Shutaf (partner in Hebrew), an inclusive, informal education program in Jerusalem, and a mother of a teen with Down syndrome, how I wish I were coming to Los Angeles to share Israel’s advanced attitudes and wisdom with people who have disabilities. Like so many Israelis, I wish that I was thrilled not just with our newly elected government in Israel but with their respective platforms on the rights of all people with disabilities. I wish I could tell you about conferences dedicated to including people with disabilities in Israel – in schools, camps, after school programs, universities and the workplace. Sadly I cannot. There is very little formal outreach, let alone mentorship and training for educators in the field – both in traditional settings as well as informal education – regarding inclusion. When conferences on disabilities do take place they are more often than not for specific disabilities only – inclusion isn’t present when it comes to the division of people with disabilities in Israel, let alone in the greater society. Our community is, for the most part, fragmented and weakened by fear, by the fear of association with the other who has a disability different than ours. Another issue in Israel, as in the United States, has been the rise of Autism to the top of the “disabilities heap.” Autism has become the label of the moment – the cause célèbre in the world of disability, pushing aside the needs of all people, children in particular, with other developmental disabilities. This inequity, one that’s reflected in the generosity of municipal and government coffers, has caused a growing need throughout Israel and particularly in poorer municipalities such as my hometown of Jerusalem. This is a city that lacks the funds to professionally handle educating and supporting the growing numbers of children diagnosed with a range of learning issues that include Autism spectrum disorder, as well as other developmental disabilities. As for quality inclusion programs including schools, after schools, and day camps for all children and teens – with and without disabilities – they are few and far between. Parents have proved to be a powerful force in the world of Autism, in Israel, as in the rest of the world, lobbying, demanding and receiving specialized classrooms within general education schools as well as longer school days, and a school vacation schedule that is much more comprehensive than children with cognitive disabilities, severe learning problems, and emotional/behavioral issues receive. As well, many of the specialized programs for students with Autism are held in general education facilities, giving those children opportunities for inclusion alongside their typical peers that is rarely offered to children with cognitive and physical disabilities. Reassessing how government agencies divvy up people with disabilities in order to provide support services is critical if all are to have equal access to the help they need. Currently, the three available designations, Autism, cognitive disability and rehabilitation (an all-inclusive label that truly means nothing), create barriers that limit access to a range of programs both social, educational and vocational, for adults as well as children. Two weeks before the last election, Prime Minister Netanyahu said that his government would put together a “special plan” for dealing with people with Autism. Yair Lapid’s Yesh Atid party, made Autism funding a critical part of the deal they cut before entering the coalition, something that many would describe as sector-based legislation, an old- style way of doing politics that many would like to see ended. It is well known that a number of governmental leaders have family members with disabilities and we applaud those who’ve talked about it honestly and we respect those who have chosen to protect their privacy. But we are now demanding that Israeli leaders put the needs of all Israeli citizens with disabilities on their platforms. If they do, perhaps the community will be able to come together, as you are, in Los Angeles.